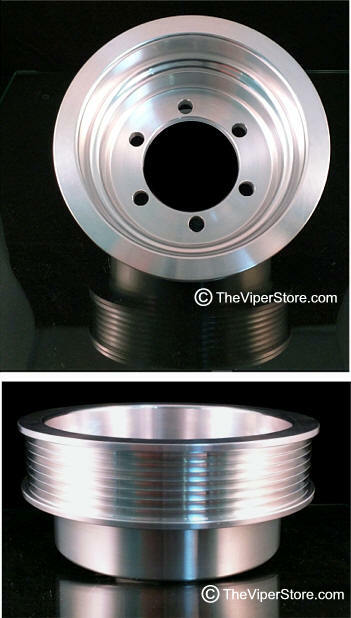 ADD Throttle response to your V-10 with our new T6061 Billet Under-drive Pulley! Machined here in the USA from T6061 billet aluminum, dropping from the factory diameter pulley to our under-drive pulley slows down the unnecessary amount of power to the accessories, thus adding free HP and dropping your quarter mile times! During testing we have seen on average 10-12 RWHP, and a tenth or two quicker in quarter mile acceleration. 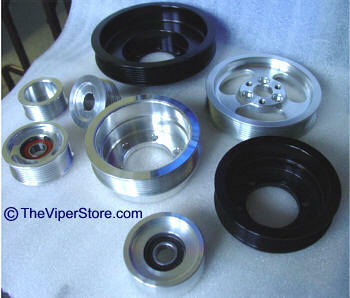 This ONE PIECE PULLEY made of strong billet comes with new bolts (when necessary) and serpentine belt. * SRT 3 Under Drive Pulley comes with 5/16-18 bolts. ** SRT 4/5 Under Drive Pulley comes with M8 X 1.25 bolts. 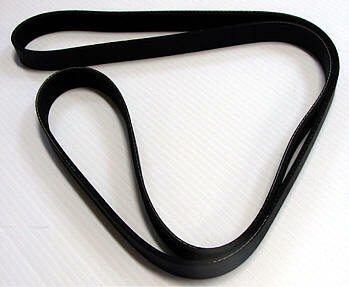 Correct Belt included Smaller, Lighter - Stronger - Gain 10 HP!